Eddie Joyce says the province's resettlement policy is under review after a squeaker vote on Little Bay Islands. 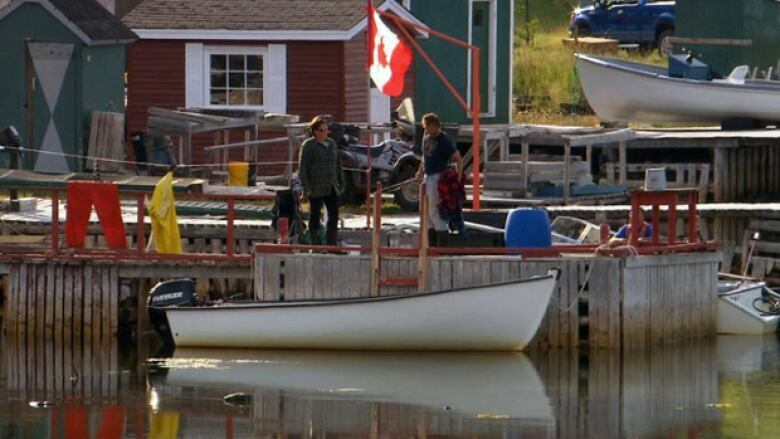 The minister of Municipal Affairs says Newfoundland and Labrador's resettlement policy is under review after a squeaker vote on Little Bay Islands, and the community can reapply to be moved once the rules are clarified. "I know a lot of people are on pins and needles over this," said Eddie Joyce. "I'm well aware that the town is struggling." Joyce said government had no choice but to accept the November vote, which saw 85 of the 95 residents of the Notre Dame Bay community agreeing to resettle. He said the 89.47 per cent yes vote did not meet the 90 per cent rule, and officials in his department felt that making an exception could be challenged in court. "We can't accept this because it hasn't reached a threshold that we inherited," Joyce told CBC Radio's Central Morning Show Friday. Joyce said his department is doing "a complete policy review on the criteria for relocation." Under rules set in 2013, people can vote on resettlement if they have lived in a community during the two years leading up to the vote. Joyce said the review will look at the eligibility requirements, and how an appeal process would work. "Once we get the policy in place, if they reapply it's not going to take five years, it's not going to take three years, I can guarantee you that." Joyce denied suggestions that government isn't keen on moving residents of Little Bay Islands because of the cost. "There was an analysis done, a financial analysis was done, and it would save government money over time," he said. "At no time did the decision that was made ever center around the amount of money that would have to be paid out."